– Sikshana Foundation: a local NGO working in government schools (www.sikshana.org). 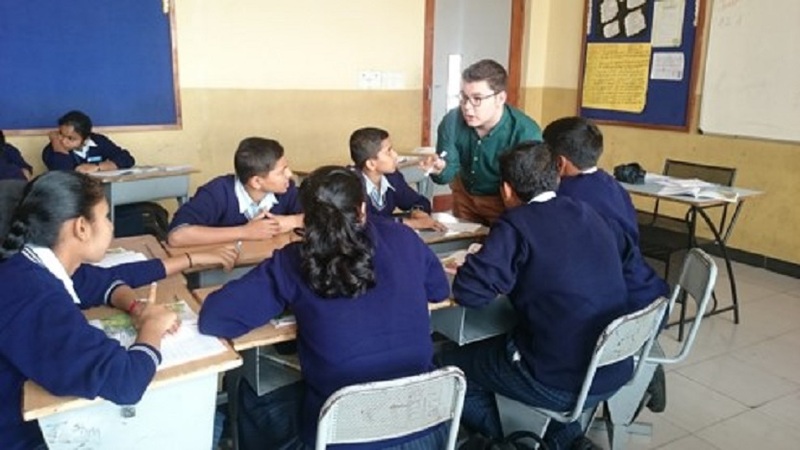 Initially the students worked in local government schools in Kanakapura and in Hubli, teaching English in the higher primary school. Since 2015 they work only in the summerschools (April) and help the NGO in preparing materials for teaching English as a means for communication. – ACT: Academy for Creative Teaching, Bangalore (www.actedu.in). This organisation guides English Medium private school, mainly in Rural Karnataka. The students can work in rural schools in North Karnataka. In 2016 two students spend a short training period in a school for disabled children in Bangalore: Samarthanam (www.samarthanam.org). – improve proficiency in English as a spoken language. Some students received financial support from VLIR-UOS (see the website). The internships are organised and coordinated by the institutions involved, and the IP helps through an IP coordinator in India.